Narrow aisle mobile steps - Lightweight. 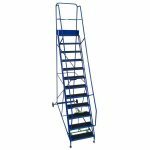 Our narrow aisle mobile steps use a 19mm tube and have a reduced tread of 400mm. 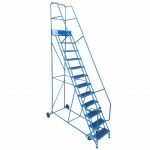 They are designed to access areas with a restricted width. 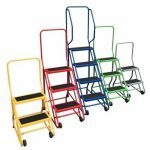 2-4 tread models use four spring loaded self weight retractable castors and four rubber feet. 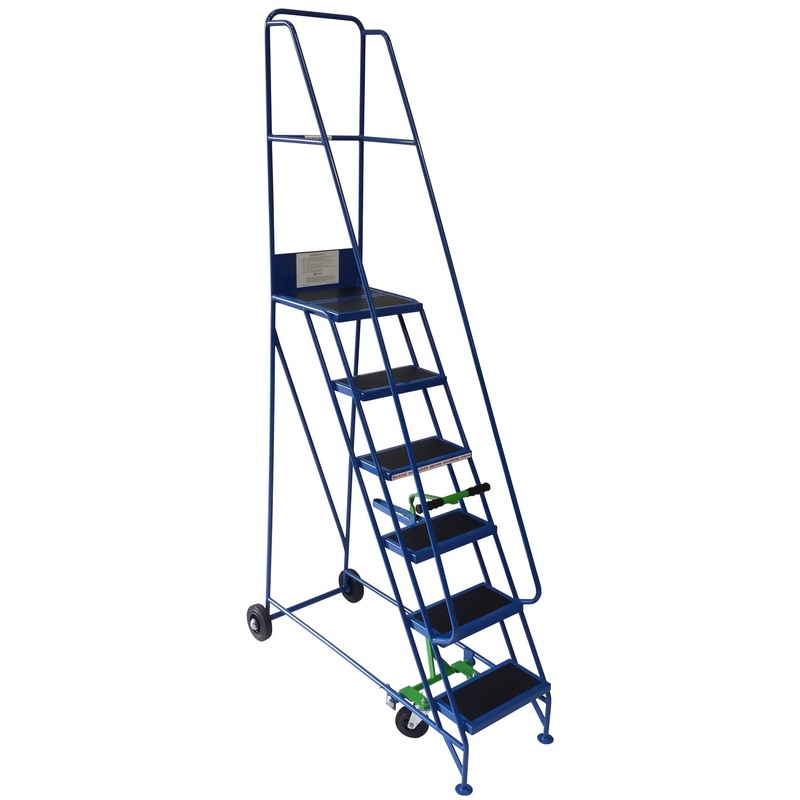 This enables the step to turn within its own space. 5-8 tread models are fitted with a central braking system and fixed rear axle with large rubber tyred wheels. 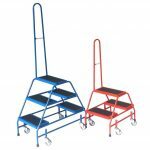 Discount will be applied to the narrow aisle steps list price at the checkout, dependent on the total order value.